Costs of prosecution would include, but would not be limited to, the costs of defense for indigent defendants, such as attorney and expert witness fees. Watermeier said the threshold amount for Johnson County, which includes the Tecumseh State Correctional Institution, is approximately $250,000. 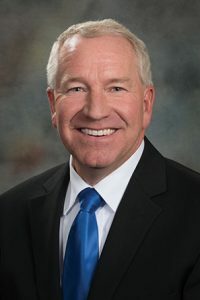 “Everyone is aware of the Mother’s Day riot—as well as several other incidents that have occurred at the Tecumseh State Correctional Institution and other facilities since 2015,” Watermeier said, adding that the state Department of Correctional Services paid for some expenses related to those events. However, he said, the department has indicated that it will not pay any additional claims. Now, he said, the county must bear the cost of prosecuting inmates for murders that occurred during the incident. While the public defender and the Nebraska Commission on Public Advocacy will assist with the costs, he said, the county will be required to hire additional attorneys to represent numerous co-defendants. 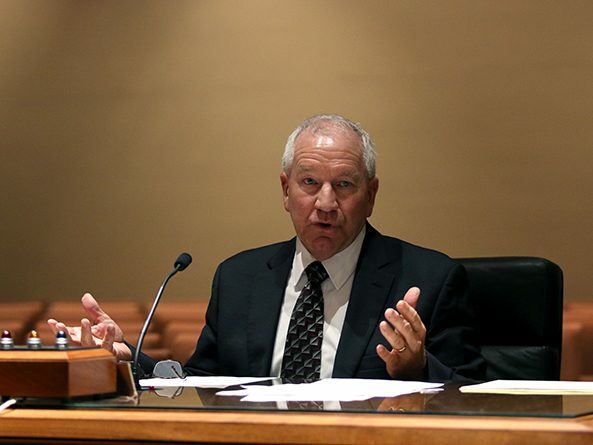 Larry Dix, representing the Nebraska Association of County Officials, testified in support of the bill. The tax base in Johnson County is far less than other counties in which state correctional facilities are located, he said, thus the county has fewer resources. No opposition testimony was offered and the committee took no immediate action on LB861.